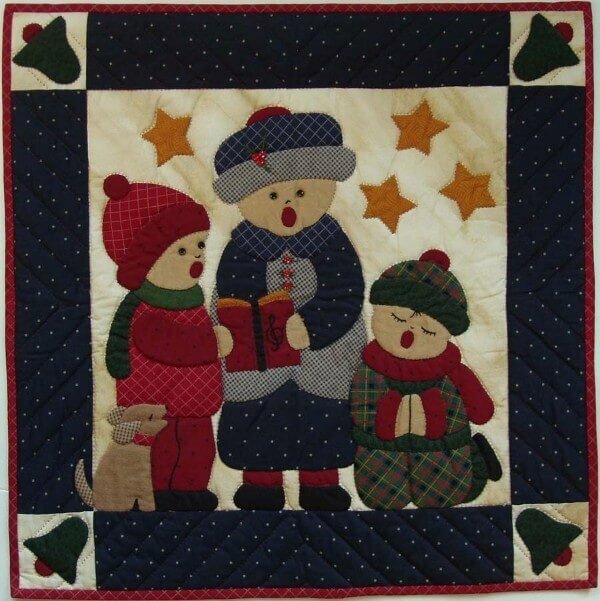 Singing under a starlit sky, three small carolers spread happiness and good cheer. Hearts fill with love as music fills the air. Finished size is 22″ x 22″. Colors are navy, red, green, gold, and beige. Kit includes all 100% cotton fabrics needed to complete the quilt (including quilt top, backing, and binding), plus batting, embroidery floss, buttons, precise patterns, and complete instructions.